Gebr. Schmidt is a medium sized company based in Wuppertal and the competent partner for more over 135 years in the development and manufacture of spiral springs, constant-force springs, telescopic springs and sleeve springs made of steel strip. 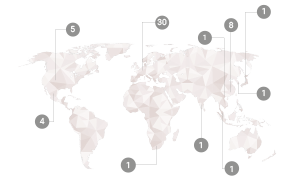 As a company of the KERN-LIEBERS group, we have access to a global network.